Live well, Laugh often and Love with passion! It’s a question of choice! Q. What kind of life do you want and how close are you to living it? Choices in life are a balancing act. We can all choose to do certain things every day of our lives. You can get a warm glow from changing your attitude to life. Focus on what’s important to your life and make positive changes to make you happy. We have to see life as an adventure. Each adventure is a chance to have fun, learn something, explore the world and broaden our horizons. Q Are you ready to make life your sparring partner ? Change your thinking and step outside of yourself. Every day we are faced with an immense number of choices and every action we make has an effect on our family, friends, society and the world in general and that effect, can be positive or detrimental. We get torn between what’s good for us and what’s good for others. No one said it would be easy . Life is a challenge – Thank God ! It allows us to stretch and grow, it moulds us into a better person. If it was easy we would get bored. 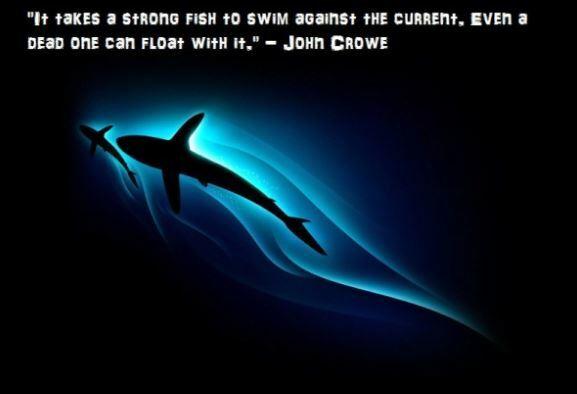 Only dead fish swim with the stream – ‘live’ fish swim against the currents ! Each flick of the fin makes us stronger. Q. Which fish do you want to become? Change what you can change and let go of the rest. Time is short and do not waste any of it . Aim to be the very best of everything you can be. If you are a parent, be the best parent. If you go to work, be the best at what you do. Set your own standard and leave a little space for yourself each day. Know where true happiness comes from. Look after yourself. You are the Boss and Captain of your own ship. You can choose where to be. You can choose how to act. You can choose who you trust. You can choose who you avoid. You can choose what to say and what to do. You can choose what to believe and you can choose what to say about yourself. You can choose what to say about others. You can choose what behaviour to have day-to-day. Q. What can I do today to make my life better ? Ask it each and every day. Raise the bar. Your thinking needs to stay focused but flexible. Demand those special things, amazing feelings and outstanding magic experiences. Be very clear about what you want , and very clear about what you don’t want. This is an important distinction : If you can recognise it not the thing or event that you really want, but the FEELINGS that you associate with it, then your goal shifts from the thing or the event, to the EMOTIONS that are connected with them. Don’t ask yourself what the world needs – ask yourself what makes you come alive, and go do that, because the world needs people who have come alive ! 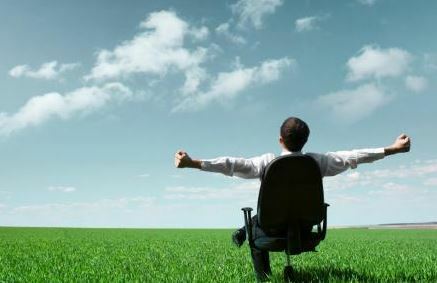 It’s a well-known fact that absenteeism affects businesses bottom lines. As an employer you can expect that employees will miss some workdays throughout the year for very genuine reasons, absenteeism is a chronic problem where an employee continually misses work for inappropriate reasons. Absenteeism can also affect teams in business, can you spot the difference between normal levels of absence from chronic levels which could indicate a bigger problem? Depression – This is the leading cause of absenteeism in the USA. Illness and injury – offered cited as the reason for absence but not always the case! Partial shifts – Often overlooked: Arriving late, leaving early and taking longer breaks than allowed are considered forms of absenteeism and can affect productivity and workplace morale. The average worker has 10 unscheduled days off work per year and absenteeism costs the UK a staggering £32bn each year….The UK number is also twice as high compared to Asia-Pacific, where workers take 4.5 days off. PwC’s analysis suggests that more flexible labour laws in the US and Asia could be a reason for workers being more committed there. We clearly have a huge problem in the UK and it is costing UK businesses money, what can you do as an employer to improve the health, morale and motivation of your workforce? Employers really need to be proactive in the modern workplace. Businesses that employ wellness strategies which take into account employee health concerns such as, Physical health, Psychological health, Work-home balance, Environmental health and Economic health have a net positive effect on a company’s bottom line – and that’s good for business. Healthier, happier employees will be more able and motivated to go to work each day, resulting in increased productivity and higher moral for the individual workers as well as the entire team. This is a problem you can’t continue to ignore! Visit my new website http://www.transform-my-life.com/corporate-wellness/ for more information. Please download my “Top 10 Tips on Transformation” at the website! Map the future you deserve through Goal Mapping! Juice Plus+ - Get your five a day! "Sat Nav for the Soul" written be Dr Susie Mitchell.